Hello and here we are once again ready to delve headfirst into another meaty morsel. 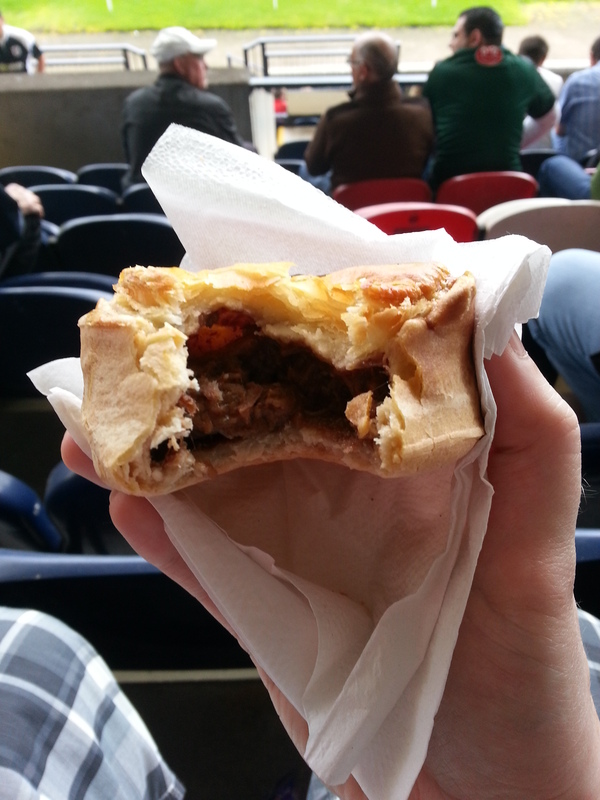 It’s the second of two reviews from Starks Park home of Raith Rovers and Meat Filled Pastries first step into the luxury market this season. The consumption of multiple pies at one venue is something that will be far less common this season, with this ritual being reserved for places where I am really unlikely to be visiting again, not due to disdain for my visit but due to the distances involved. Being based in Glasgow means that there is a plethora of clubs within an hours drive of home and so restricting myself to one pie at these venues will not only help my waistline but also ensure I will never run out of pies to review. Well that’s the theory anyway. However without much further ado, let’s rate some pie! 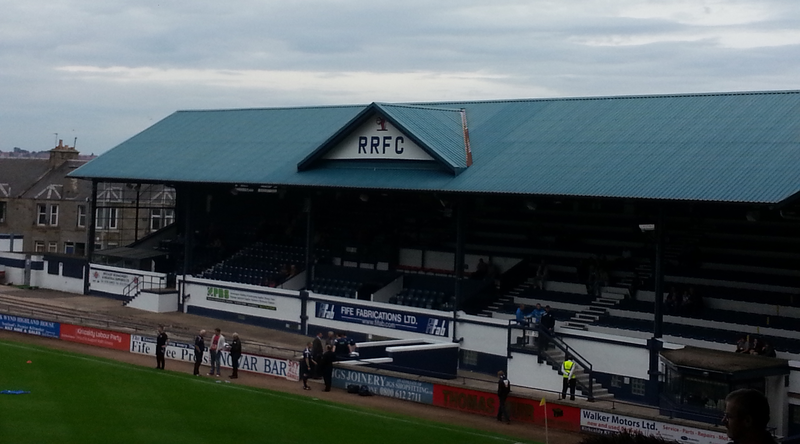 Where: Starks Park, Raith Rovers v St Johnstone, Pre Season Friendly. Entry Fee £10. Programme £1.50. Price: At £2 this was 20p more expensive than the scotch pie offering from Kirkcaldy but given some of the prices that were flung at me when down south over the summer for luxury pies this seemed a relative bargain. I think by season end this will turn out to be one of the cheaper luxury pies to pass my lips. Presentation: Unlike most steak pies this did not come with an aluminium foil cae wrapped around it instead trusting the structural integrity of the pie itself to hold firm once the first bite was taken. 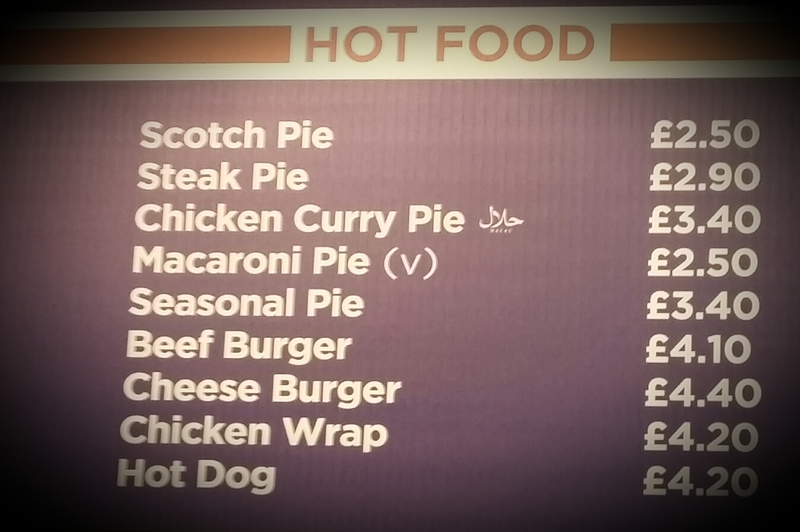 As is the case in the majority of pies this was served with a medium-sized white napkin. Meatiness: Before I get into the meat of this pie matter a wee reminder that a luxury pie should be untainted and such none of the acetic brown sauce that nearly obliterated my scotch pie at Starks Park will be present on this pastry. Luxury comes at a premium price and with that comes greater scrutiny, the pie alone should provide all the flavour you need. So how flavoursome was this pie? It was not bad, not bad at all. First of all as football pies goes it was a generous handful, the meat was in large chunks but had a good mouth feel, coming apart as you bit off the tender strands of steak. It was seasoned well enough to give a strong savoury flavour although it lacked a little depth. Part of this could have been caused by the pie being a touch on the cool side. I also noticed that although there wasn’t a great deal of gravy within I at no point felt that the pie was dry which is once again testament to the precisely measured time it would have spent in the oven. This was a solid effort, perhaps a few tweaks short of something special but not a pie-saster by any means. Pastry: As previously mentioned there was no tinfoil case to support this pie and as such that burden fell on the pastry something that it coped with more than admirably. The sides were slightly thicker than you would usually have on a pie but this meant that you could take a good-sized bite without worrying that your pie filling well end up splattered on the terrace floor below your feet. It had a puff pastry top which flaked as it should and although not particularly buttery or flavoursome it provided a suitable accompaniment to the pies meaty interior. 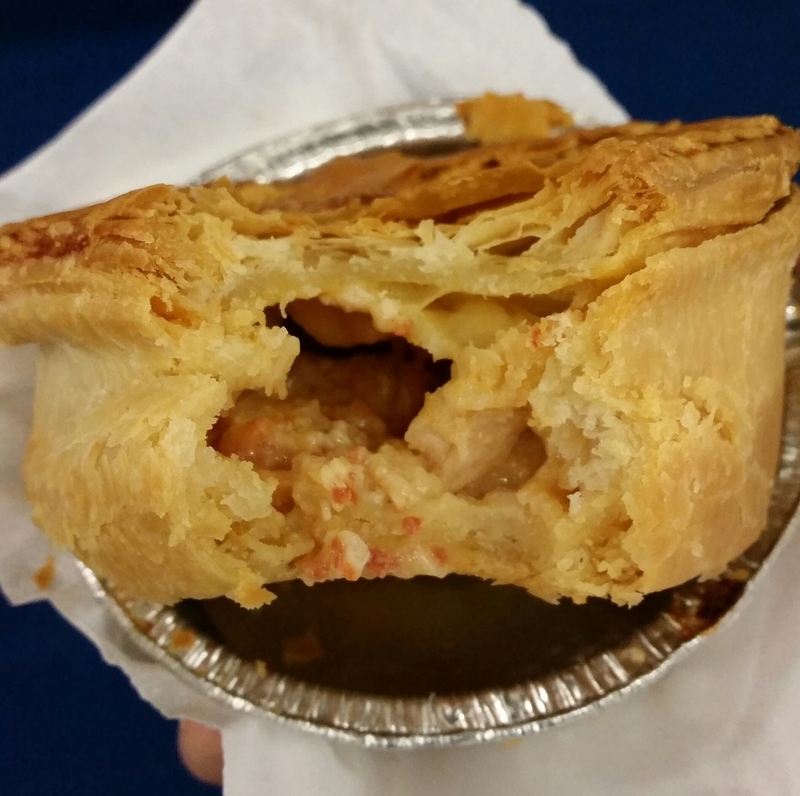 Overall: A solid if unspectacular start to the 2014/15 luxury market, it was a large pie with large meaty chucks and a substantial pastry case. Won’t be the best of the season I’m sure but certainly won’t be the worst. So that’s two reviews down and I feel I’m getting back into the swing of things. Next stop, Wishaw, and a return to Meat Filled Pastries spiritual home, junior football. Planning to cover UEFA’s week of football concept at some point over the weekend but until next time…..Go Forth and Eat Pie! Remember to follow Meat Filled Pastries on twitter @MFPTasty and for any enquiries or feedback, and a thank you to those who have already, you can email meatfilledpastries@hotmail.com. 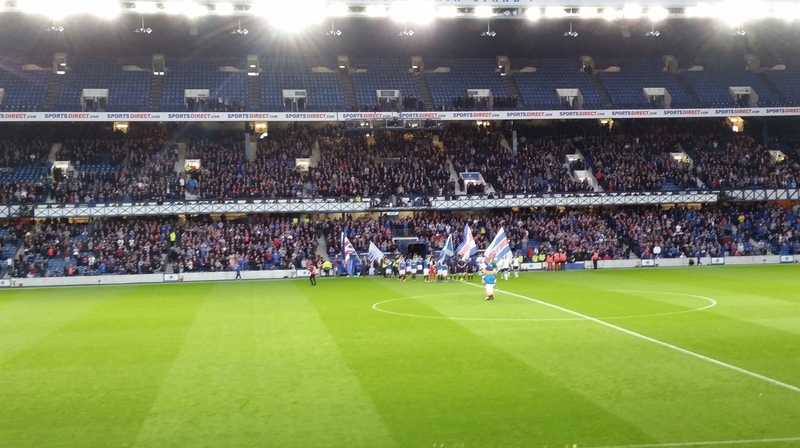 This entry was posted in Football Pies, Professional Pies, Sporting Pies, The Life of Pie and tagged fitbaw, Football, Gravy, Juniors, Meat, meat filled pastries, mfptasty, pastry, Pie, Raith Rovers, scottish football, st johnstone, starks park, steak, wishaw.